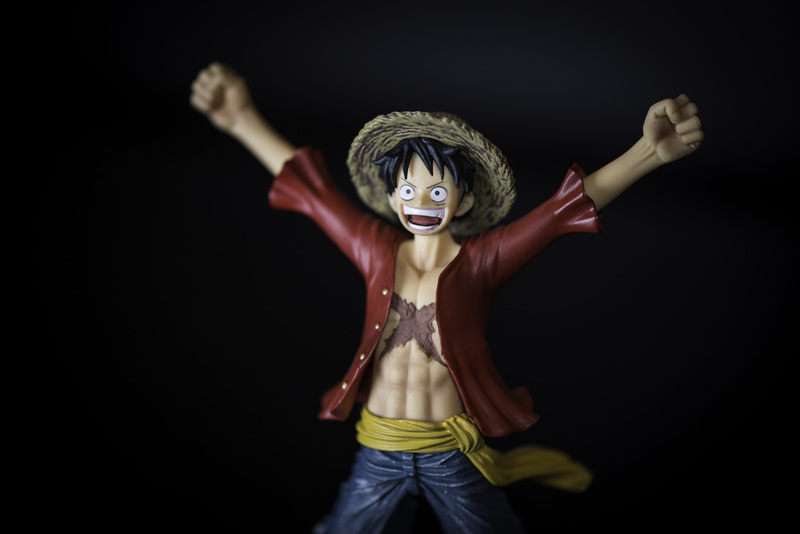 A few weeks ago, I attended a photo workshop by great guy and awesome photographer Tim Buerger, on lighting techniques for product photography. Tim has re-arranged his apartment into his own studio, where he shared his techniques to the 3 lucky students we were, from the cheapest DIY solutions to the more expensive ones. Tim organizes regularly such events in his studio, you can take a look at his website for more information on the dates. 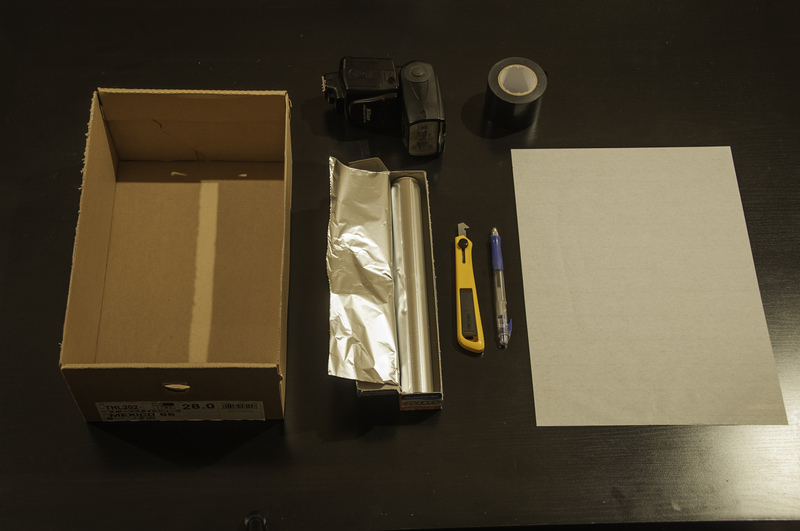 Here is a way of building yourself a cheap softbox to photograph (small, unless you have a big box) products, using an off-camera flash. 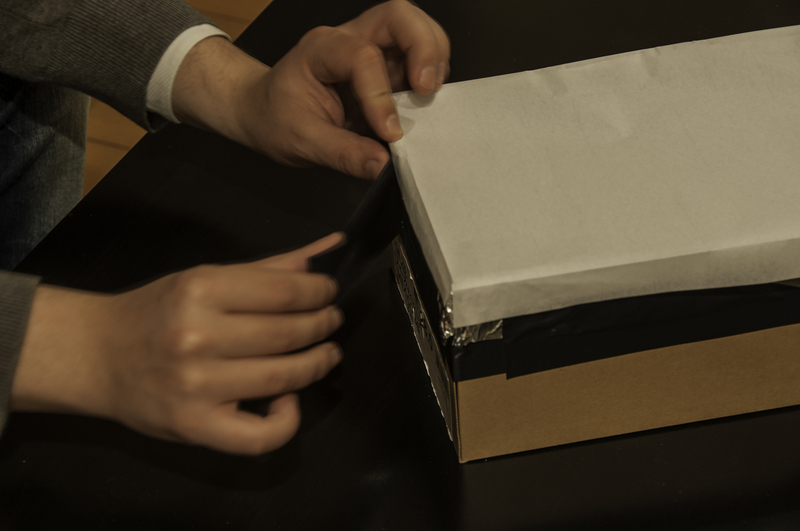 We need to cut an hole in one of the faces of the box, that we will use to insert our flash head into the softbox. Draw a line around the edges of your flash head in order to get the measures right, and cut around it using your cutter. 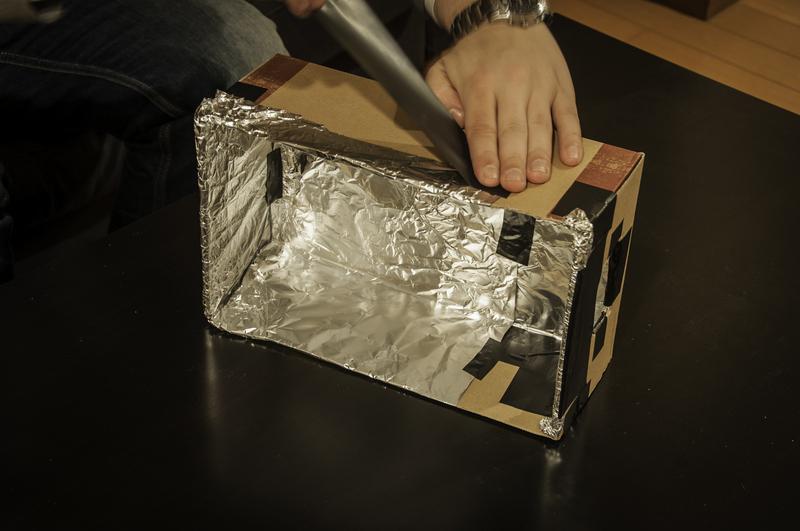 We are going to use the aluminium foil as a reflective surface: overlay the inside of the box with it, using the gaffer to make sure it is well fixed (use golden paper if you want to create a source of warm light). 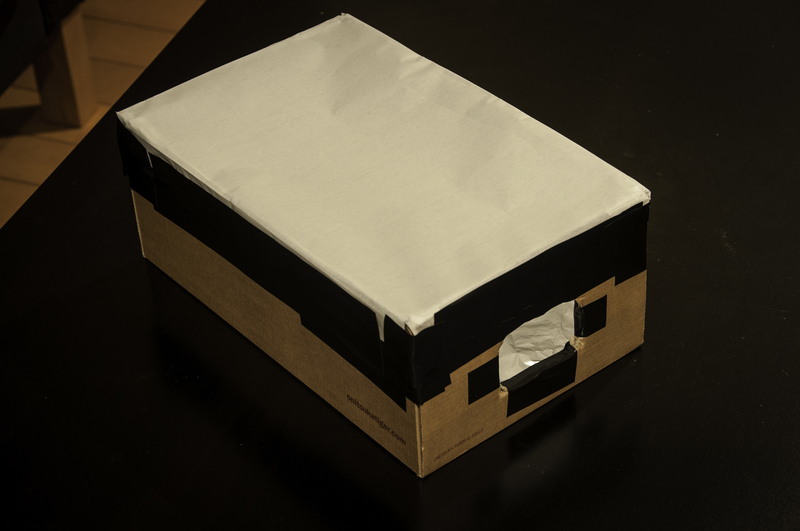 Now cover your shoe box with the piece of white paper. 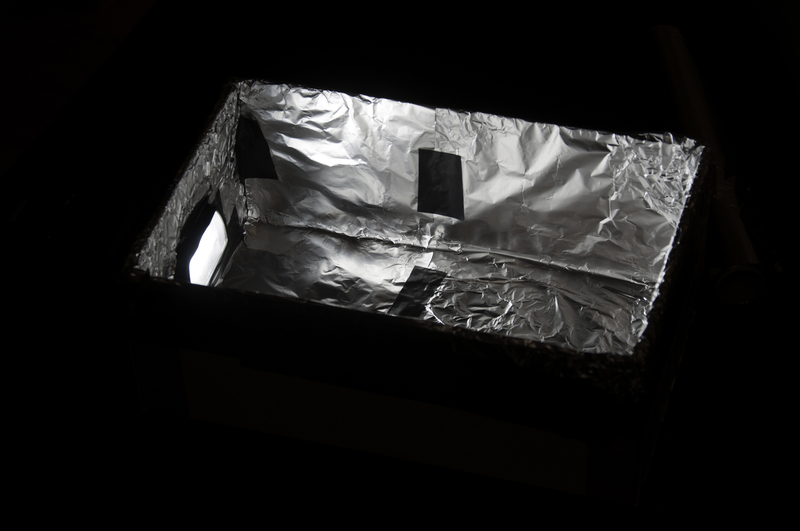 That’s it, here is your own softbox and it cost you close to nothing! 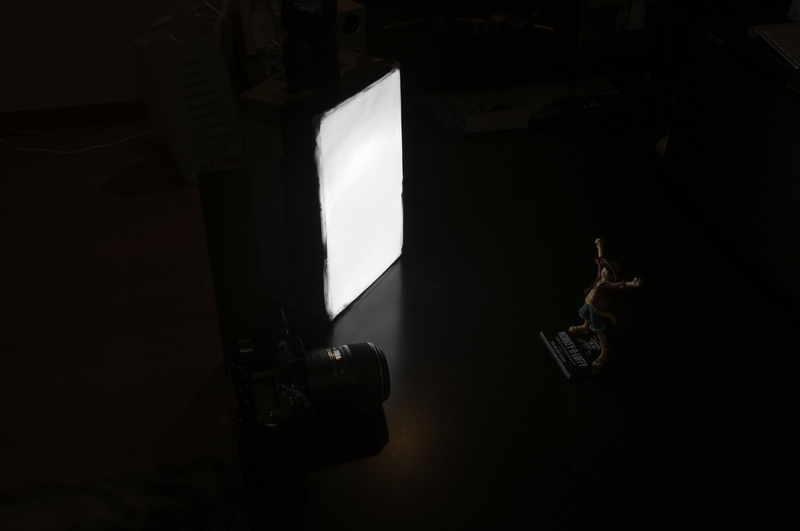 Note that, generally speaking, the bigger the source light, the softer the quality of light you get, so i would not use such a softbox to light up a person, but it is perfect for small objects (the size of your box will look bigger relative tot he size of the object you photograph). 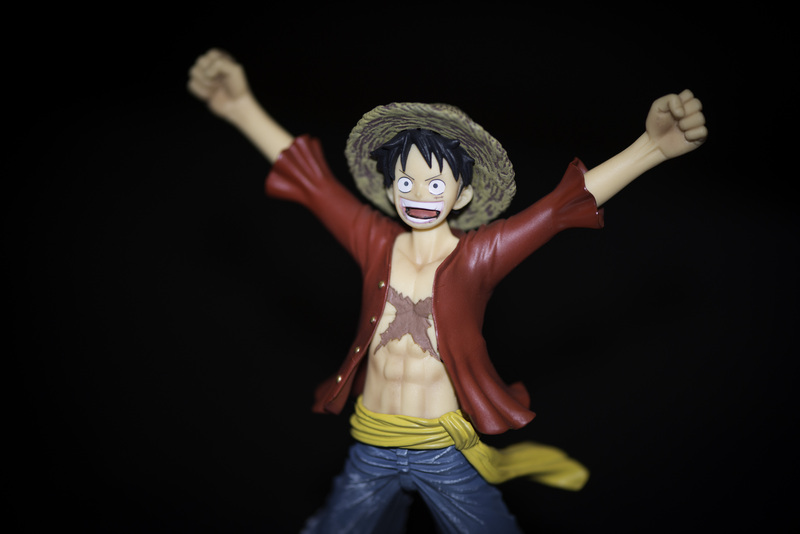 Notice how in the first case we get a flat hard light on our subject, while in the second picture, we get a softer light that wrap around the figuring, creating highlights and shadows that gives more depth and dimension to the figurine.